Earrings are a part of ancient history, dating back 7,000 years to Asia where they were predominantly worn by men to show they belonged to a higher class. They were later worn by women in ancient Greece and Rome to showcase their social status. Earrings have long fallen in and out of fashion thanks to styles changing as humans evolved. Today, earrings are more popular with women and the vast choice of styles, shapes and colours available means there is a set out there to suit anybody and everybody. Earrings are popular gifts to give at Christmas. 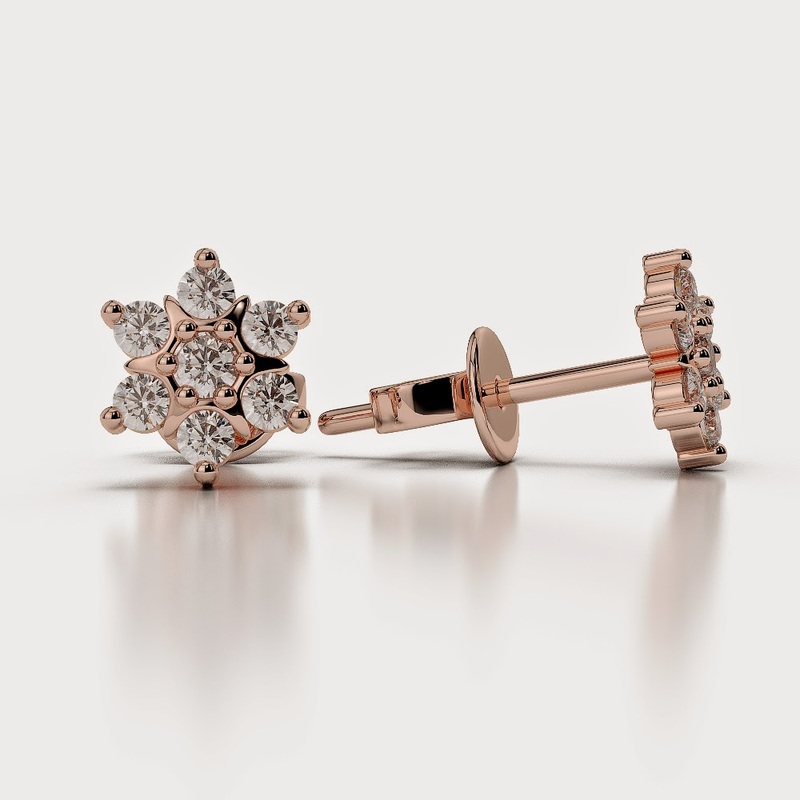 It’s rare that a woman would be disappointed with the earrings you have chosen – unless you’ve not been paying any attention to her style, the thought alone adds a personal touch. Cluster Earrings feature gemstones which are positioned closely together and can extend from beyond the bottom of the earlobe. From a distance or close-up and from all angles they look perpetually stunning. Halo is a circle of coloured light, making the wearer dazzle in the darkness. 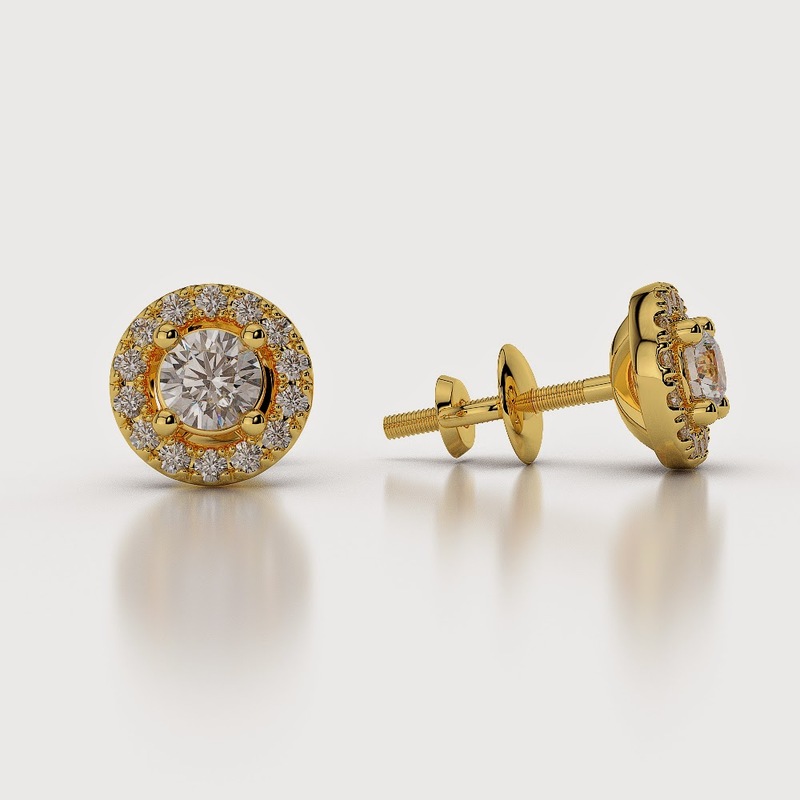 Our Halo Earrings are perfect for the ultra glamorous look, and the round shape is enchanting. 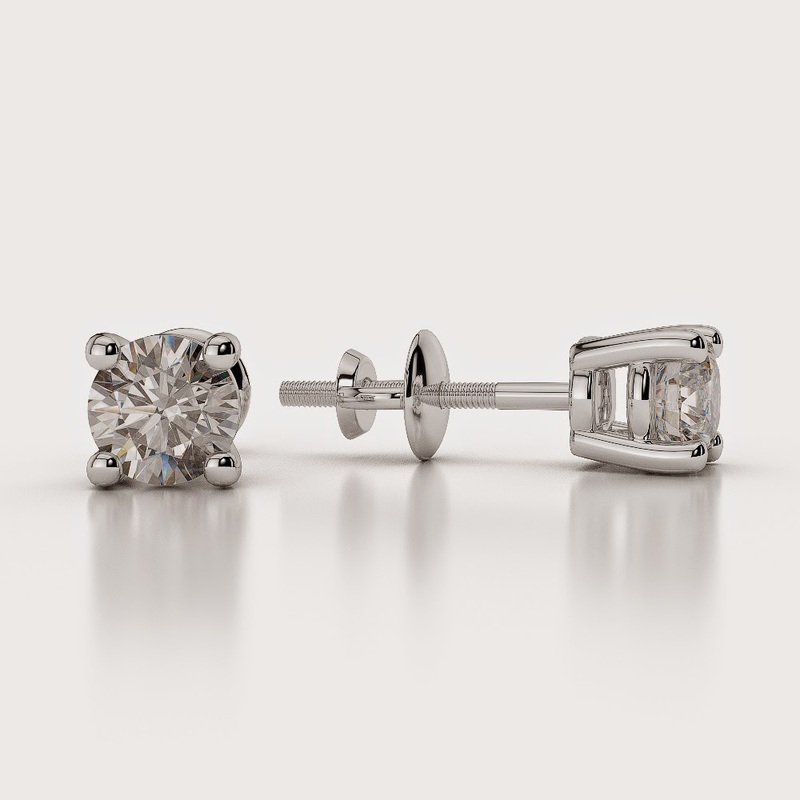 White Gold Diamond Studs are beautifully understated, and can add to or finish off a look immaculately. They are popular for the everyday wearing. So, we could not choose just one favourite out of our gemstone collection. 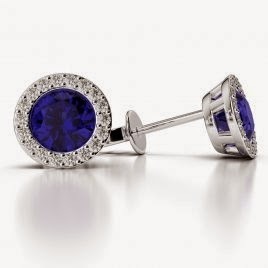 Instead we’ve chosen one gemstone per earring style to showcase the choice. 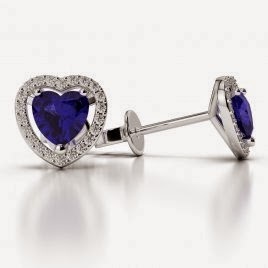 The gorgeous blend of purple and blue makes the Tanzanite - cushioned by Diamonds, truly spectacular sight when worn. 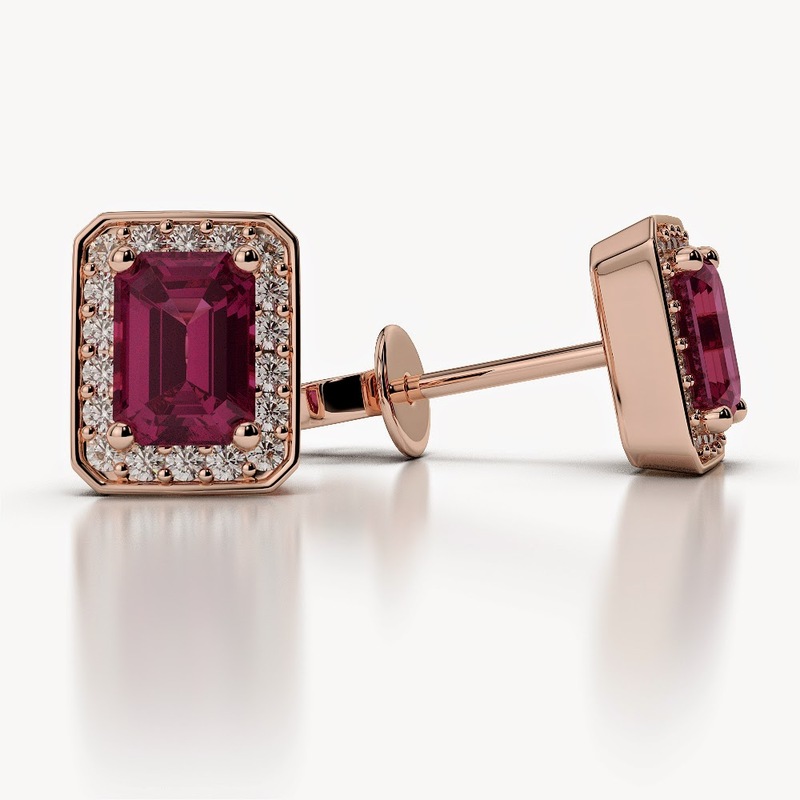 Ruby is the gemstone of romance and it radiates beautifully when paired with Rose Gold. The square shape creates an elegant look. 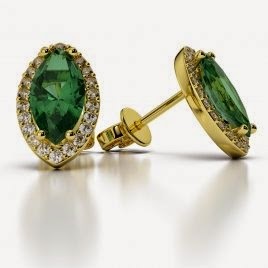 Emerald has been the most strongly admired gemstone for centuries with its vibrant green colour and the Yellow Gold Marquise shape adds a touch of sophistication. The astonishing blue colour makes this gemstone one of the most sought after. It creates a polished look thanks to its flawless blend of simplicity and elegance. So there you have it. That’s our list. However, we did tell a teeny tiny lie. We don’t have favourites because every single item we choose to showcase on our website is our favourite in its own unique way. If it’s not a favourite, we won’t sell it. We take great care in designing and creating all of our jewellery. And because we love our creations so much; we have each item of jewellery available in three types of gold: White Gold, Rose Gold & Yellow Gold, not just the colours listed above. So there is a metal colour to satisfy everybody and most of all, a style to suit everybody. We’re sure you will have no problem choosing the right set of earrings for your loved one. Happy Shopping and Merry Christmas! P.S: ALL of our diamonds are conflict-free in conjunction with The Kimberly Process. We also offer FREE gift wrap and an independent certificate with any jewellery purchased from us.